Writing a memoir is daunting! You're the expert on your life, naturally, but narrating and organizing your own experiences in the best way can feel impossible. Many writers become frustrated in early drafting stages and quit after a couple of brief attempts. 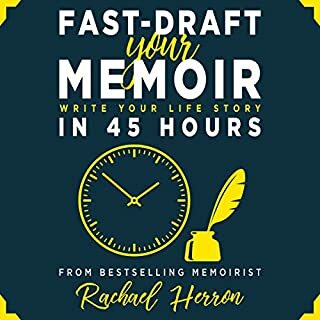 Learn from best-selling memoirist Rachael Herron (who teaches this class at Stanford Continuing Studies) how to fast-draft your memoir while keeping its structure compelling. Learn how to frame your life's story and give it a natural arc to keep your reader glued to the page. Helpful (Really) and Funny to Boot! Mary Karr's biography looks back through a child's eyes to sort through dark household secrets. She witnesses an inheritance squandered, endless bottles emptied, and guns leveled at both the deserving and the undeserving. In a voice stripped of self-pity and charged with brilliant energy, she introduces us to a family ravaged by lies and alcoholism, yet redeemed by the revelation of truth. Whether or not one has lived an exceptional or dramatic life, we inherently understand that writing memoir—whether it’s a book, blog, or just a letter to a child - is the single greatest portal to self-examination. Stop treading water in writing exercises or hiding behind “writer’s block” and learn how to write with intent. Marion Roach Smith’s disarmingly frank but wildly fun tactics offer you simple and effective guidelines that work. Your legacy beings now. From Mary Karr comes the gorgeously written, often hilarious story of her tumultuous teens and sexual coming-of-age. Listen to an interview with Karr on Fresh Air. Writing, like life, can be a difficult process, you just have to take it Word by Word. Provocative and witty, Lamott takes you beyond her book Bird by Bird and into her "writer's mind". The Power of Memoir is a pioneering how-to book that provides a new step-by-step program to use memoir writing as a therapeutic process. By going through these steps you'll learn how to choose the significant milestones and turning points that make up a coherent story leading to a life-changing epiphany. 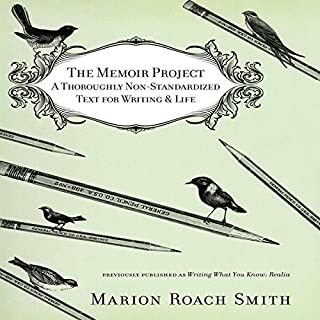 Using many examples from her students and clients, the author shows how creative, well-planned, and carefully researched memoir writing can offer a process for sorting out the truth from lies and family myths. 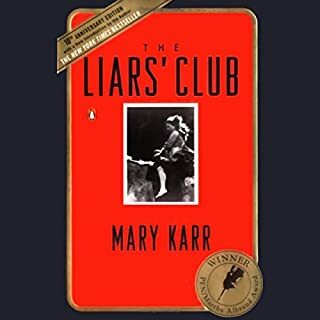 Credited with sparking the current memoir explosion, Mary Karr's The Liars' Club spent more than a year at the top of the New York Times list. She followed with two other smash best sellers: Cherry and Lit, which were critical hits as well. For 30 years, Karr has also taught the form, winning teaching prizes at Syracuse. (The writing program there produced such acclaimed authors as Cheryl Strayed, Keith Gessen, and Koren Zailckas.) In The Art of Memoir, she synthesizes her expertise as professor and therapy patient, writer and spiritual seeker, recovered alcoholic and "black belt sinner", providing a unique window into the mechanics and art of the form that is as irreverent, insightful, and entertaining as her own work in the genre. Anchored by excerpts from her favorite memoirs and anecdotes from fellow writers' experience, The Art of Memoir lays bare Karr's own process. (Plus all those inside stories about how she dealt with family and friends get told - and the dark spaces in her own skull probed in depth.) As she breaks down the key elements of great literary memoir, she breaks open our concepts of memory and identity, and illuminates the cathartic power of reflecting on the past; anybody with an inner life or complicated history, whether writer or reader, will relate. Joining such classics as Stephen King's On Writing and Anne Lamott's Bird by Bird, The Art of Memoir is an elegant and accessible exploration of one of today's most popular literary forms - a tour de force from an accomplished master pulling back the curtain on her craft. What did you love best about The Art of Memoir? Mary Karr's voice and her ability to tell a good story. No, but only because there is so much info, I wanted to take it all in. Highly recommend this to anyone interested in writing memoir and the art of telling a story. Mary Karr is the perfect author for this book! 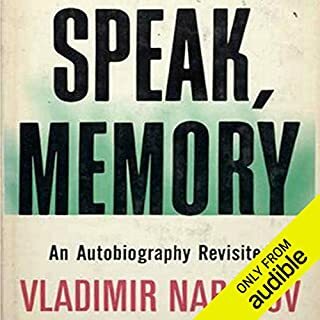 When I finished listening to The Art of Memoir, I felt sad it was over. I savored it during my morning walks & felt I was privy to a much needed university course taught by Mary Karr. This is more than a book about writing, it's about honesty and hard work - I'm inspired to do many things, including writing. Would you listen to The Art of Memoir again? Why? I'm going to listen to this book several times, there's so much meat in these words to savor. What other book might you compare The Art of Memoir to and why? None! There's nothing like this that I've ever read or listened to. And I've read dozens of memoir writing books in search of knowledge, inspiration...direction. What about Mary Karr’s performance did you like? It's always good to hear the writer read her work. There's a realness to the words instead of a performance of the words. This is probably the best book on writing I’ve ever read. 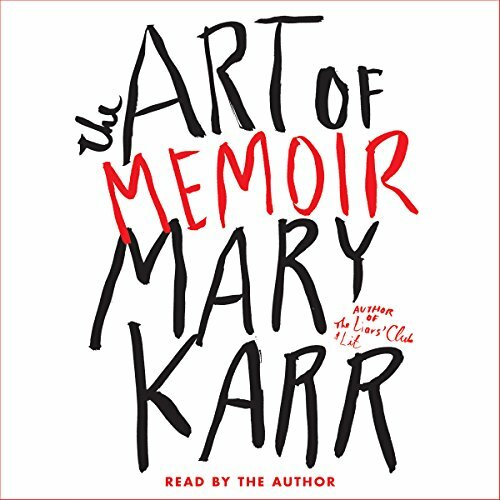 Mary Karr combines immensely satisfying criticism (including brilliant analyses on Vladamir Nabokov, Maya Angelou, and Michael Herr) with her own rules for memoir writing, focusing on themes of truth, carnality, and cultivating a voice, all delivered with her own mastery of language and charming Texas twang. I connected with her no-nonsense outlook on writing, and her ability to talk the reader through scribbling down the hard stuff with humor and authority. Through Karr, I found inspiration to resurrect my own tattered pages of memoir and start typing again. This is a keeper. This was difficult to listen to but well worth the effort. I put off listening to it until I was on a bus ride where I could listen and take notes scribbling ideas on paper by hand . The ways in which the author/narrator elevates memoir as a genre or style of writing. This book has tweaked my interest in reading more of them. I have a much better understanding of the distinction between biography and memoir. Biographies are written by authors who have excelled in fields, other than writing. A memoir falls into the more specific category of an artist, usually an author, who has decided to step back and write the story of their own life. 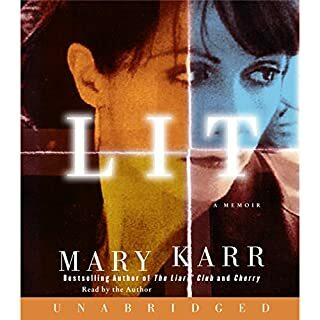 What does Mary Karr bring to the story that you wouldn’t experience if you just read the book? The author's passion for this literary form shines through when she talks about the memoirs of other writers she considers great. There is clarity and compassion in her explanations about how and why. If I were to make a film of this book, the tag line would be: &amp;amp;quot;The Book Is Better.&amp;amp;quot; This book just would not translate to film. This is a well-organized piece of work. The author, Mary Karr, is a skillful teacher. She gets to the point, makes it well, and then moves on. For this writer, it's hugely instructive and just as motivational. A profound and engaging read, very specific and interesting. I highly recommend it and appreciate her insights. This book gets into the heart, body mind and soul of memoir writing. Wise, inspiring. loved the Narration and I learned that truth IA worth telling. I had ignored that which would make others look good but truth is truth. I have very bad vision on a phone so small..computer broken..so I apologize for bad spelling but my words were important to me even though probably in a pile but I have to accept that the same may happen to my book. thank you for giving me the ability to be me.